Lucy Sellick has been appointed head greenkeeper at Wenvoe Castle Golf Club – the first time ever that a Welsh golf club has employed a female head greenkeeper. Golf clubs are being encouraged to check health and safety claims of their staff with previous employers, after a Leicestershire club was ordered to pay £150k following the death of its course manager. A financial services PLC has brought out a finance product specifically for golf clubs – the first of its kind in decades. A woman who took discrimination action against an Irish golf club that refused to allow her to participate in a men-only competition has failed in her complaint. A new report that shows that golf builds muscle strength, reduces blood pressure and improves life satisfaction has led to health professionals being urged to refer older and inactive patients for golf lessons. Merseyside Police has written to a number of golf club managers and secretaries warning that fraudsters are using compromised credit cards to book tee times. The chief executive of England Golf, Nick Pink, has agreed to provide regular editorial contributions to The Golf Business. From opportunities to partner with potential rivals to marketing creativity, here’s the top three things The Golf Business editor Alistair Dunsmuir learnt about the industry in June. The hotel management company, RBH, which runs 75 hotel brands in the UK and hundreds of hotels, has announced it is willing to partner with golf clubs in a bid to offer more packages to pay-and-play visitors. West Essex Golf Club has appointed James Levick as its new secretary – someone who, at 23, is believed to be the youngest golf club manager in the country. An unusually large number of high profile clubhouse refurbishment projects have been taking place in the last few weeks. Oxford Golf Club has backed the Oxford Pride festival – a celebration of Oxfordshire’s LGBTQ community – by placing a rainbow-themed flag in every hole on its course. The rise in thefts of batteries from golf buggies have been linked to the production of class A drugs, according to a police inspector. The golf industry’s trend towards nine-hole golf, lodges and programmes to get more women playing golf became apparent in May, according to The Golf Business editor, Alistair Dunsmuir. The Professional Golfers’ Association is launching a huge new PR campaign aimed at encouraging more women and girls to play golf. A golf course photographer has been told that golf clubs probably do not need to delete images featuring people from their websites by May 25, provided they gave verbal consent. One of the most powerful people in golf in Europe, the chief executive of the Professional Golfers’ Association (PGA), Robert Maxfield, is to provide regular editorial contributions to The Golf Business. New research for golf participation over the last six months compared with previous years has found an unprecedented and stunning drop. 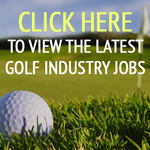 The Golf Business has launched what is set to be the biggest recruitment portal in the golf industry, featuring hundreds of jobs such as club managers, PGA professionals and greenkeepers. A new survey has found that the number of golf clubs offering flexible memberships has fallen sharply following years of record growth. A major survey of 3,200 golfers has found that the game plays a significant role in improving their physical and mental health. Two private members’ golf clubs in south east England could be sold off – leading to a large windfall for their members. The UK’s second largest heart charity, Heart Research UK, has started recommending that people aged 65 or older should play golf in order to reduce their chances of developing heart disease. The chair of Scottish Golf has expressed her “deep disappointment” after the membership narrowly voted against a proposal to increase the annual affiliation fee paid by members for the first time in five years. The general manager of Oxford Golf Club and the man who featured on an iconic cover of The Golf Business, Stephen Nicholson, is to contribute for the leading golf industry publication.